MyPhone is struggling to keep up with smartphone race. 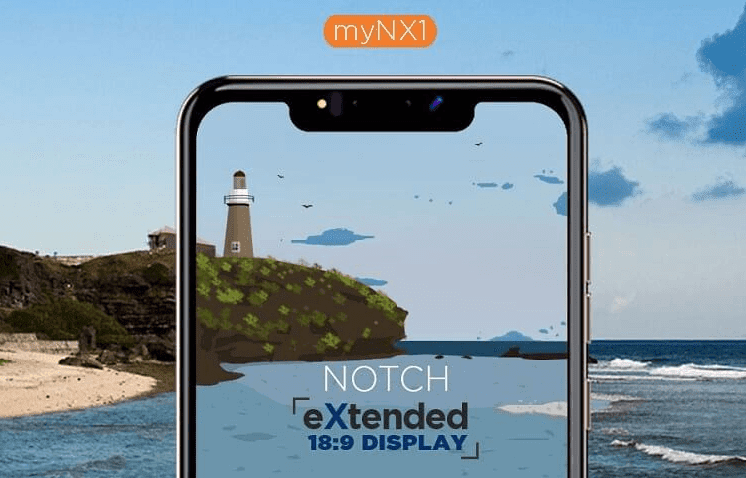 The company has silently teased its brand’s first notched smartphone which has trendy features, the myNX1. The MyPhone myNX1 is an Android Go smartphone with a large and notched 6.18-inch display. MyPhone join the notched smartphone bandwagon with the upcoming release of the myNX1. Despite adopting the notched design, the local brand has equipped the myNX1 with entry-level hardware and a Php4,299 price tag. The myNX1 flaunts a notch to achieve a 19:9 screen aspect ratio – one of its key selling points. It flashes a big 6.18-inch IPS panel with FWVGA+ display, too. Under the hood, the handset packs entry-level features that usually found on other smartphones at its price point. The MyPhone myNX1 carries a Spreadtrum SC7731E processor clocked at 1.3GHz, complemented with Mali-400 MP2 graphics. The device also armed it with just 1GB of RAM and 8GB of internal storage, which is expandable up to 32GB via microSD card. The good thing about the myNX1 that is loaded with Android Go, allowing it to run lighter versions of apps. In the camera department, the handset sports 8-megapixel main shooter with LED flash and 5-megapixel selfie snapper with Soft LED flash. The device is powered by a 2950mAh battery and has also a fingerprint sensor for security options. The MyPhone myNX1 will be available soon for just only Php4,299.